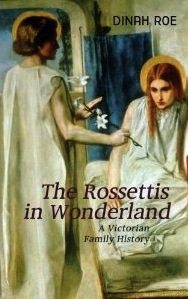 The Rossettis In Wonderland is a blend of Victorian family saga and modern soap opera, whose supporting characters and capital city are as crucial to the story as the main players. This artistic, bohemian family relied not only on talent, but also on social networking to get itself noticed. The Rossettis cultivated relationships with every important artist, writer, painter, poet and critic of the Victorian age, among them Tennyson, the Barrett-Brownings, Whistler, Edmund Gosse, Lewis Carroll and Ruskin, to name only a few. Even their enemies were first-class: Dante Gabriel’s Portuguese con-artist agent Charles Augustus Howell was immortalized by Conan Doyle as ‘the worst man in London’ in a Sherlock Holmes mystery. This book, with its interest in family dynamics and psychologies, will be a break from traditional accounts, regarding the ambitious, socially climbing Rossettis as an early prototype for the modern, aspirational middle-class family. Taking place against the rich backdrop of Anglo-Italian London, it recovers previously neglected aspects of the Rossettis’ story, such as the Italian immigrant experience, religious fads and fashions, celebrity, the making of the Pre-Raphaelite ‘brand’ and the lost history of the Rossetti women’s accomplishments. Through this remarkable family’s interactions with the city that shaped them (and that they shaped in their turn), we are given an intimate view of a time when Victorian London loosened its stays, and allowed the urban imagination to breathe freely. 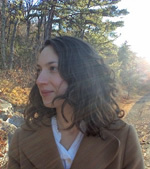 "An intertwining family biography is a hard task but Roe brilliantly makes a larger picture to frame the genius of Dante Gabriel and Christina."